Apologies that this Newsletter is late in coming, December has been a very busy time for THHN with lots of events, fantastic fundraisers and famillies coming on their free fun filled memory making holidays, all of which you can read about in the New Year, in the next newsletter. 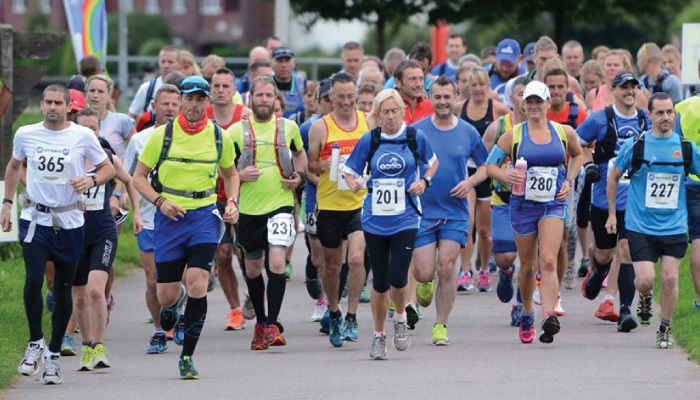 The first City to Sea this year was a fantastic success and it raised over £16,000 for the charity, thank you to all those that took part and to all the volunteers that helped make the event a success. Straight after this years amazing City to Sea event we started working on next years event and are pleased to announce it is now open for entries. 2016 will see the return of the Ultramarathon, a 55 mile run from Exeter Quayside to Babbacombe Downs, via Berry Head. In 2016 we have added an extra 3 miles to the City to Sea 23 to make it the City to Sea Marathon, this 26.5 mile challenge can be run or walked. Team Relay options are available for both options. 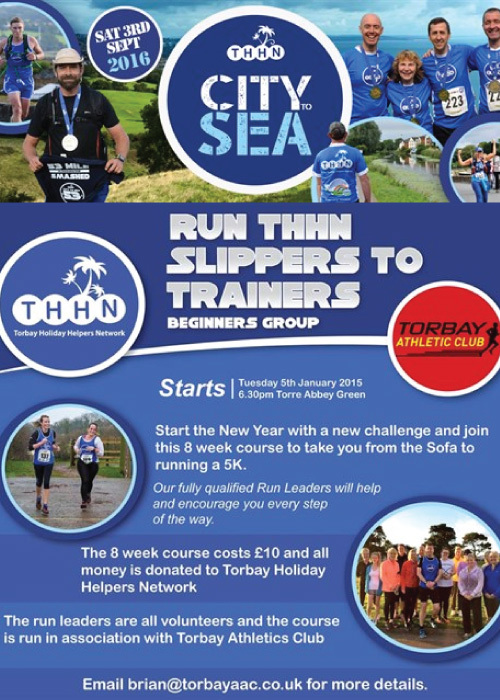 2015 saw our Fundraising Manager Brian lead several 8 week beginners running courses, to encourage and train new runners and at the same time raise some money for THHN, in November Andrea joined Brian and they both lead the running group as fully qualified run leaders. Every month we have many families to stay with us and we would love to share all the stories with you, but it would take up a lot of space, so here is just one example of holiday we gave in November. On Saturday afternoon our good friends at The Cliffs Babbacombe (luxury 5* self-catering holiday apartment) welcomed a THHN family, to stay on a special memory making holiday. The family have been referred from the Bristol Children’s Hospital CLIC Sargent team. A huge heartfelt thank you to our amazing catering suppliers Claires Cakes, Westcountry Fruit Sales, Luscombes Butchers of Torbay and Halletts the Bakers, who have all donated delicious food hampers for our self-catering family to enjoy. Huge heartfelt thanks too must go to our good friends at Teddy Mountain UK for donating beautiful gifts for both families children to treasure. Finally and as always a very special thank you to all of our amazing supporting businesses, our supporters, fundraisiers, volunteers and staff, who all work so very hard to make our incredible memory making holidays possible to give, to families affected by serious illness and bereavement from across the UK, giving them memories to treasure forever! Team THHN – we are the “memory makers”.